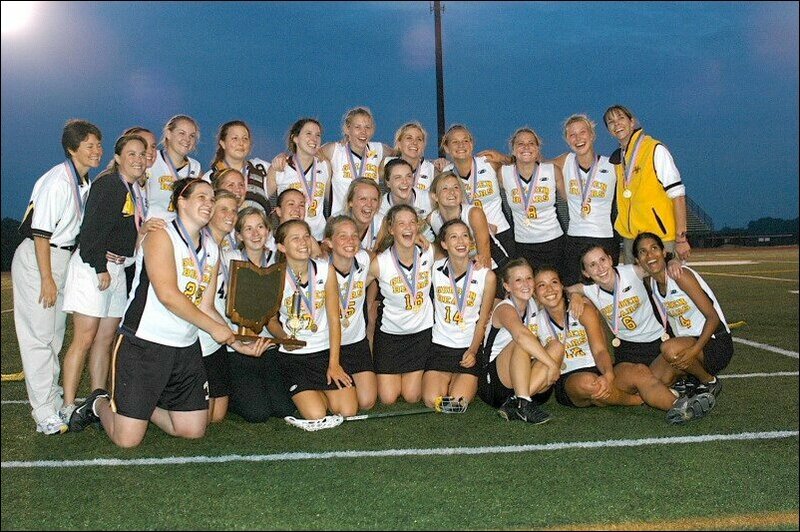 In 1983, faculty member Pete Corey sponsored the creation of the UAHS Girls Lacrosse Team. 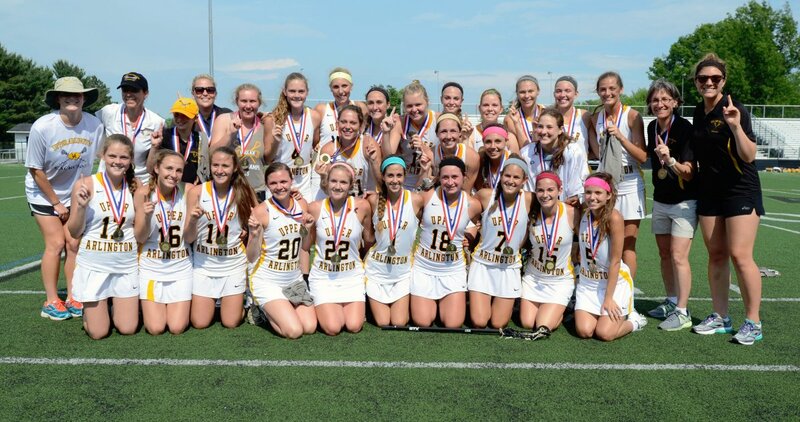 At the time, only two local programs were fielding girls lacrosse teams: Worthington and CSG. From 1983-1986, UA alumnus, Dan Paoletti, served as coach. In 1987 Tom Stout, the former Jones boys' coach, was appointed to head the team. He lead the Golden Bears to a 3rd place finish in the Midwest Schoolgirl's Lacrosse Tournament in 1991. Shortly after, the MSLA grew from 16 teams to over 70 teams. This rapid growth precipitated the development of the Ohio Schoolgirl's Lacrosse Association, in which UA is a member. 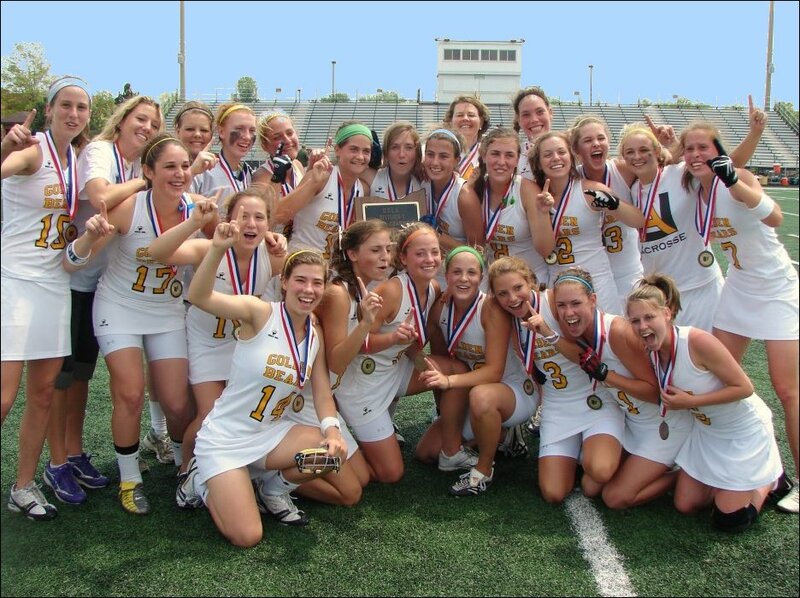 Since the creation of the OSLA, the Golden Bears have won 7 state championships. In 1992, Wendy Pinta moved from JV to varsity coach, where she served 16 seasons as the head coach of the Golden Bears. During her tenure she amassed a 213-78-12 record leading the Bears to state championships in 2002, 2004, and 2005. UA was also nationally ranked in the top 25 by US Lacrosse Magazine and Lax Power polls the same years it garnered state titles. In 2009 Coach Pinta was inducted into the Ohio Lacrosse Hall of Fame. UA's 2008 state championship was coached by one of Pinta's former players, Lynda McCandlish. Coach McCandlish made history by being the first person in Ohio to win a state titles as both a player and as a coach. 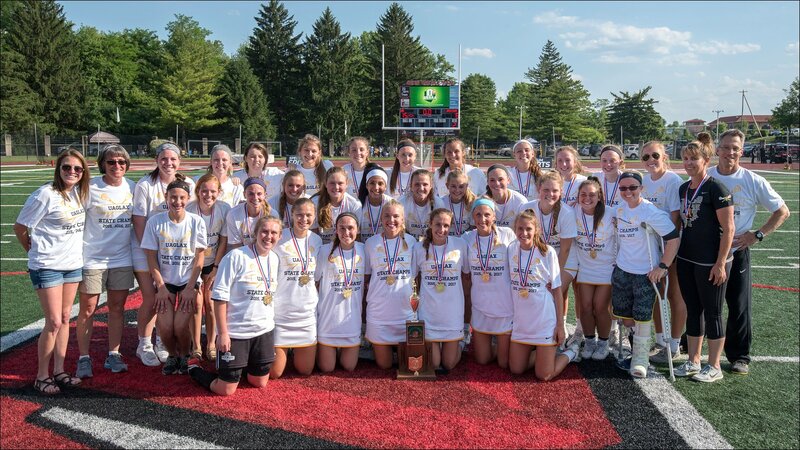 Lynda McCandlish entered the 2008 season as head coach of the Golden Bears after a long, successful career as a player in Upper Arlington, helping lead UA to its first state championship in 2002. 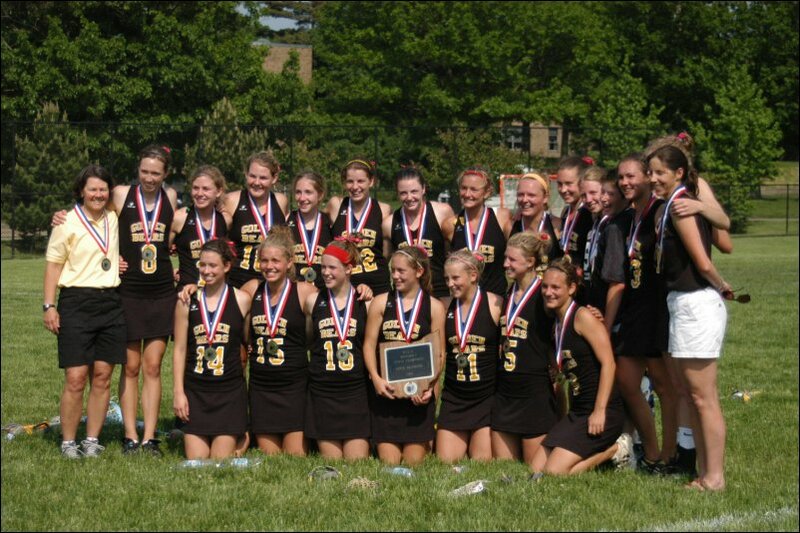 In 2009, former Ohio Wesleyan head coach, Kim Rocheleau, took over the reins as head coach of the Upper Arlington Girl's Lacrosse program. During her tenure at UAHS, she led the Bears to 3 Regional titles and to three state championship title games. Unfortunately for the Golden Bears, they came up short of being crowned state champions each time ... .in 2011 losing in overtime to three-time state champions, the Medina Bees. In 2012, Wendy Pinta (361-96-11) came back to her long-held position, this time joining forces with lacrosse veteran Sue Stimmel, the 12-year veteran head coach of the Ohio State Buckeyes. The coaching duo led the Bears to their fifth state championship in 2013 by a decisive victory against Sycamore, winning 14 to 8. In 2015 they once more beat the Aviators 12-8 to clench their sixth state championship. In both 2016 and 2017, the Golden Bears faced a previously undefeated Jackson Massilon team, beating the Polar Bears 9-6 and 15-6 to win their seventh and eighth titles respectively. 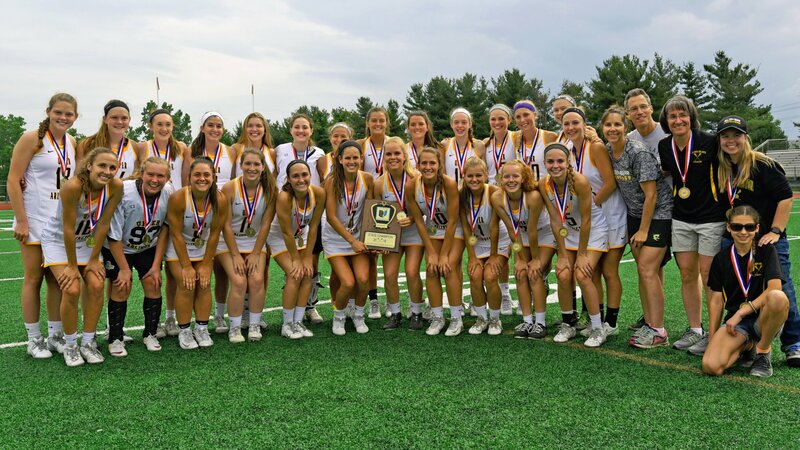 In 2018, Upper Arlington defeated New Albany 11-5 to bring home their 4th consecutive and 9th overall state championship. Since 1993, twenty-six UA players have earned All-American distinction, and many others have been honored with All-Ohio and All-League awards. Currently six former Golden Bears play for college programs. The class of 2018 has two verbal commitments to Divison I programs. In 1993, the Jones and Hastings programs were created by Wendy Pinta and Tom Stout. The first season at Jones was coached by Laura Montgomery and Gretchen Reithmiller (former UA players), and Hastings was coached by Beth Damonte and Lori Ronto (OSU graduates). 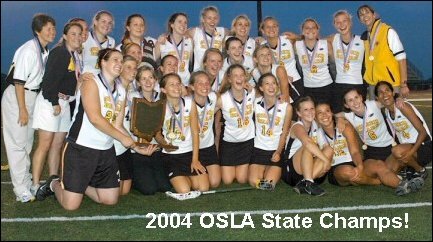 In 1995, Pinta and Laurie Johnson (former Wellington coach) organized the state-wide Ohio Middle School Girl's Lacrosse Association. The Jones and Hastings teams have seen their fair share of successes over the years. In 2008, the Hastings team, coached by Pinta, captured their first undefeated season by beating Jones in the final game 14-13. In 2013, Caroline Chao led the Jones squad to a Middle School State Championship. The UAHS coaching staff looks forward to helping these young players develop into scholar-athletes in the high school arena. This site is not sponsored by the Upper Arlington City School District.